Grazing is my favorite form of eating. I would happily give up meals in favor of all day snacking. That’s what's so great about pintxos. 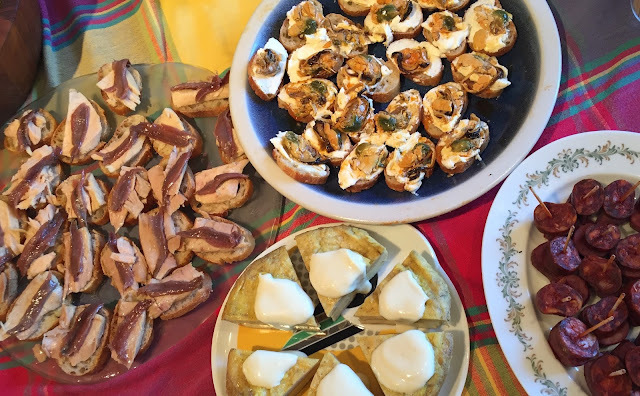 The Spanish tradition of eating little bites and sometimes larger “raciones” of food to go with drinks is perfect for a snack or a meal or even a party. 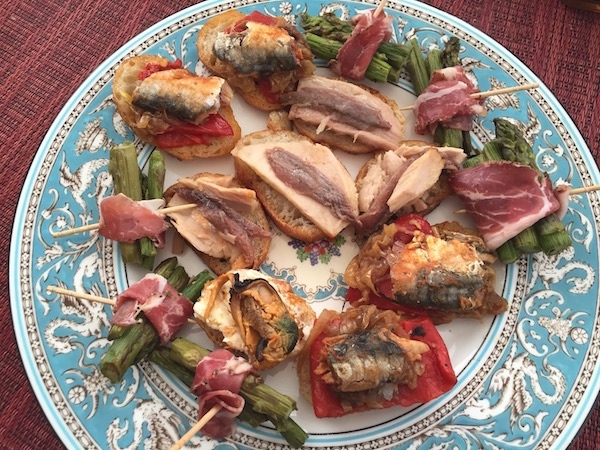 If the idea of lots of cooking for a party doesn’t appeal, that’s another reason to consider pintxos. These nibbles, often piled on little slices of bread or speared on toothpicks, use a variety of ingredients that for the most part, don’t need to be cooked. Thanks to a care package from Donostia Foods, I put together a little pintxos party of my own. I relied on a variety of conservas, or preserves. In Spain they preserve olives, fish, seafood and vegetables. Combined with fresh vegetable, cheeses, fruits and a few other things, you can whip up party fare in no time. While we often wax poetic about fresh ingredients, preserved products add another element altogether. Think succulent canned tuna belly in olive oil versus fresh tuna. Or silky roasted piquillo peppers in jars. Pintxos lend themselves to creativity. Basque cities San Sebastian and Bilbao even hold annual Top Pintxos contests and give awards. Here’s how I transformed the conservas into perfect party food. Let my suggestions be a guide and come up with your own ideas too. Escabeche is a sauce of olive oil, vinegar, garlic, salt, bay leaf and pepper as welll as other spices, especially pimentón. The ricotta provides a slightly sweet and mild backdrop to the tender but intensely flavored mussels. This idea was inspired from a Recipe & Serving Suggestion Guide from Donostia. This was my most creative effort and possibly the most successful one. I simply sauteed thinly slicedo onions until they were caramelized and soft. I sliced the sweet piquillo peppers and slipped them on top of the bread. I piled a spoonful of onion on top of the pepper and draped a sardine on top. of the onions. Perfection! I wanted to add a cheese pintxo, and so I cooked some apricot halves in a saute pain with a bit of honey to make a rich spread to pair with the satly dry cheese. The tangy quality of the fruit offset the salty cheese nicely. For something fresher, I rolled roasted asparagus in slices of Italian coppa, but slices of jamon would have been even better. 1. Start with great quality ingredients. 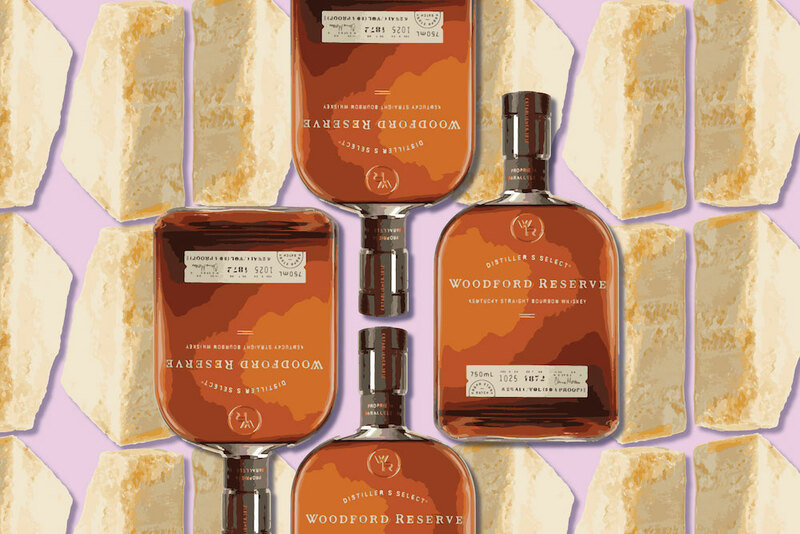 Splurge on some great quality conservas, a little goes a long way in terms of flavor. 5. Have fun! This is not fine dining although the pintxos can be as sophisiticated as you like. The emphasis should be on quality, variety and most of all, enjoyment. Disclaimer: While I purchased some of my own ingredients, I also enjoyed a lovey supply of conservas from Donostia Foods.